Aids such as tablets, DVDs and online risk calculators can help doctors better prepare patients to make informed decisions. The CMS finalized two payment rules last week that simultaneously sought to empower clinicians to spend more time with patients, while also paying them less for some services. Under the annual physician fee schedule, the CMS announced plans to pay doctors for telehealth visits and communication with patients, acknowledging the time those efforts take. The CMS will also change how physicians bill Medicare for patient visits under a relatively generic set of codes that distinguish level of complexity and site of care, known as evaluation and management visit codes. 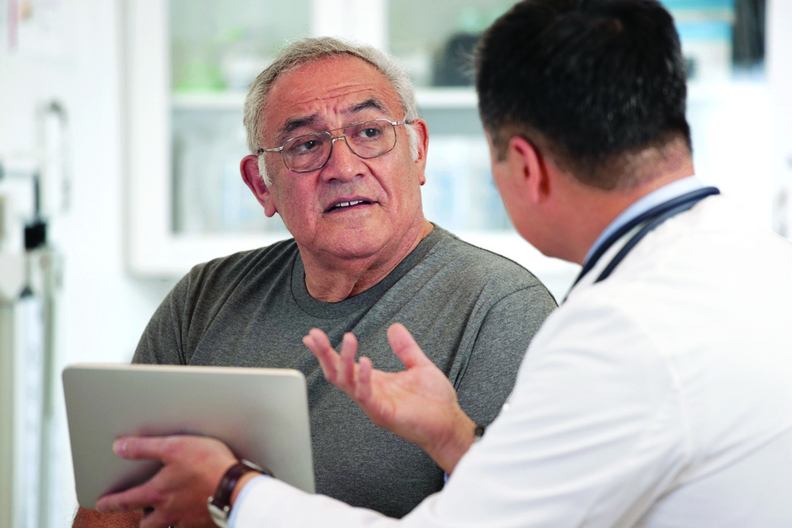 Clinicians regularly complained about having to provide a comprehensive medical history each time they submitted a claim, instead of being able to document why a patient is receiving care in a specific instance of treatment. Starting next year, doctors will only have to highlight what's changed since they last saw the patient, versus restating the whole medical history. In the annual outpatient rule, the agency removed various measures from the Hospital Outpatient Quality Reporting Program and from the Ambulatory Surgery Center Quality Reporting Program. This action will decrease the burden on providers by approximately $27 million over the next two years, according to the CMS. “CMS is telling physicians the power is being put back in their hands and that it is willing to take bold, transformative steps to create additional clinical flexibility, reduce administrative burden, and create a level playing field among providers,” said Kristen Ratcliff McGovern, executive director at Partnership to Empower Physician-Led Care, a medical practice association. But that equal footing is coming at a price. Both rules contain policies to either implement or expand site-neutral policies. For instance, the CMS is instituting a 60% cut for clinic, or checkup, visits taking place in hospital outpatient departments over a two-year period. The goal is to mirror the rate paid for the same visits in doctor offices. Once fully implemented, the payment change is projected to save Medicare $610 million. The cut ignores the fact that patients coming to outpatient departments for these visits are sicker than those who go elsewhere, hospitals say. The American Hospital Association plans to team up with Association of American Medical Colleges to sue over the cut, saying it exceeds the administration's legal authority. Reducing payment for hospital outpatient clinic visits and allowing greater access to virtual visits in the same week is the CMS' attempt to address two goals at once, according to Lyndean Brick, CEO of the Advis Group, a consulting firm. “CMS is trying to figure out how to save money while simultaneously putting a foot into the 21st century,” Brick said.